Battle of the Bangers is being run on 25-26 March at the South Island Agricultural Field Days (SIAFD) in Kirwee, Canterbury. 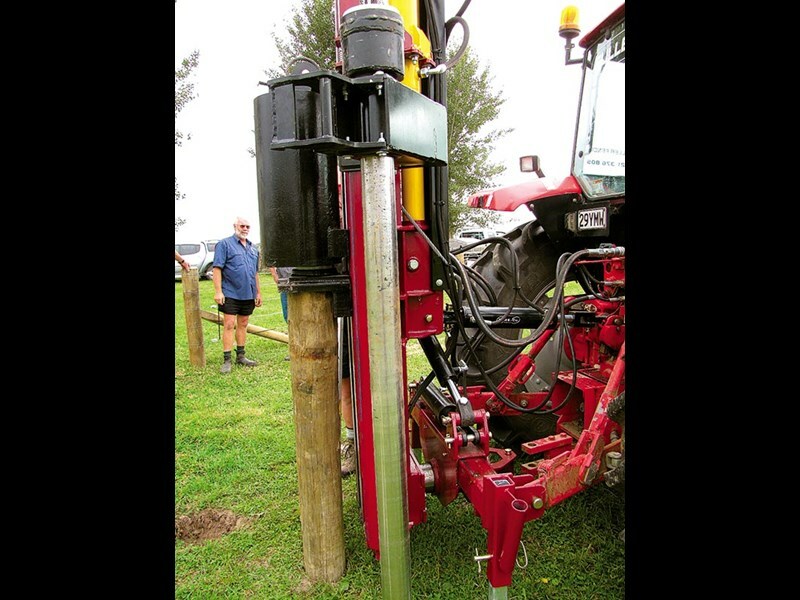 This inaugural fencing machinery demonstration event focuses on New Zealand manufactured post drivers. Organisor Debbie White says the concept is the first of its kind anywhere in the world, with the ability to see leading brands posting together promising a real spectacle for the public. With the SIAFD at Kirwee being renowned for agricultural machinery demonstrations, this Field Days was a natural choice to launch the concept. "The organising committee has been extremely encouraging, setting aside a prime fencing demonstration area to host a number of fencing activities alongside Battle of the Bangers." New Zealand fencers have a wide selection of New Zealand post driver brands to choose from. Depending on budget, purpose and preference, model types tend to fall under rear mount, side mount or rotation configurations. Battle of the Bangers focuses on each model and its merits with both an assessment and practical demonstrations, in accordance to the base configurations taking place on the Wednesday and Thursday of the SIAFD. Fence lines and posting conditions are not always ideal. Whereas any fencer can breeze down an easy contoured straight fence line with soft going, the reality often differs. Even on the one job or in the vicinity of creating a paddock terrain, access, soil types can differ. 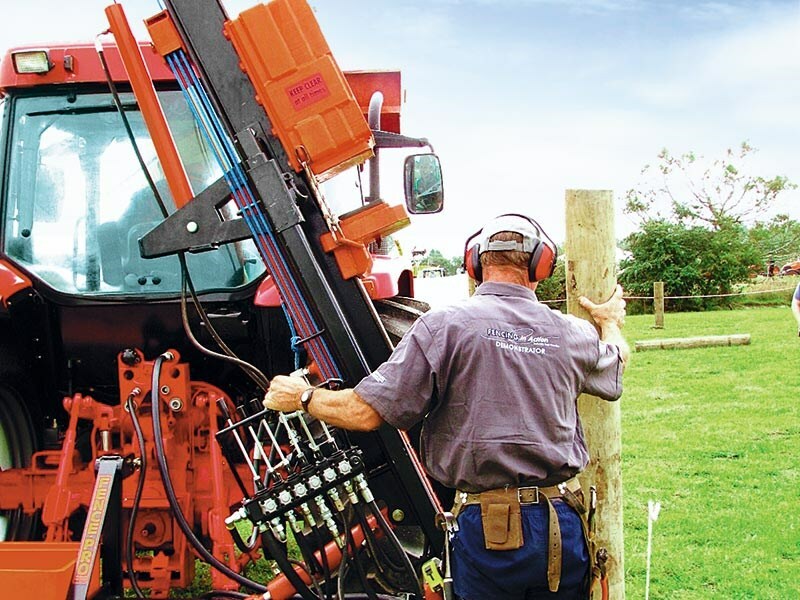 Seasonal factors dictate access and how long it can take to drive posts with many around the country having to resort to rock spikes or auger kits on their post drivers to get the posts in. The practical posting component of Battle of the Bangers is not a race; rather it reflects the realities of fence-line installation with a guide wire needing to be run and posting using number-two strainers, number-one rounds and the Goldpine superposts, which are rounded quarters. Posting is to be precise and accurate as dictated by any professional job. Rock spiking is a given on this stony and, to date, extremely dry Canterbury ground. Posting takes place in 50-metre-long by eight-metre-wide laneways with exclusion zones around these laneways, reflecting the limited access often presented to fencers. On the Friday of the SIAFD, the post drivers will also be on hand for the public to look over and the posting installed during Battle of the Bangers will be used by the NZFC Fencing competition, which features many of the South Island’s leading fencers. For the latest news and reviews of farm machinery, subscribe to Farm Trader magazine here.